A snapshot left at a so-called maternity house in California. SAN GABRIEL, Calif. — The building inspectors and police officers walked into the small row of connected town houses here knowing something was amiss. Neighbors had complained about noise and a lot of pregnant women coming and going. And when they went into a kitchen they saw a row of clear bassinets holding several infants, with a woman acting as a nurse hovering over them. 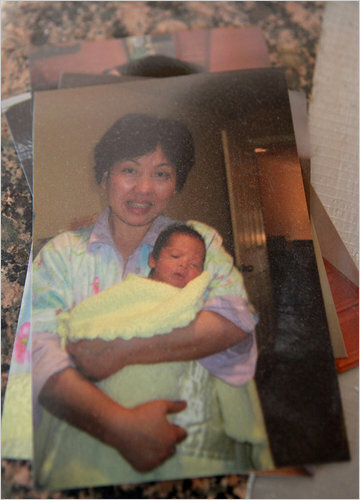 For months, officials say, the house was home to “maternity tourists,” in this case, women from China who had paid tens of thousands of dollars to deliver their babies in the United States, making the infants automatic American citizens. Officials shut down the home, sending the 10 mothers who had been living there with their babies to nearby motels. 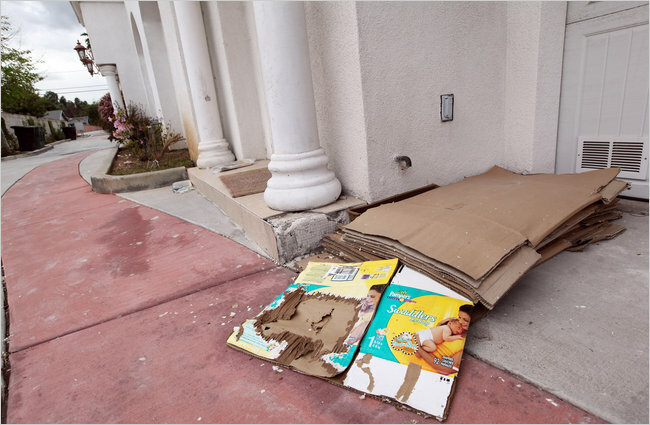 A diaper box outside houses in San Gabriel, Calif., where officials say Chinese women stayed to have their babies born as citizens. For the last year, the debate over birthright citizenship has raged across the country, with some political leaders calling for an end to the 14th Amendment, which gives automatic citizenship to any baby born in the United States. Much of the debate has focused on immigrants entering illegally from poor countries in Latin America. But in this case the women were not only relatively wealthy, but also here legally on tourist visas. Most of them, officials say, have already returned to China with their American babies. Immigration experts say it is impossible to know precisely how widespread “maternity tourism” is. Businesses in China, Mexico and South Korea advertise packages that arrange for doctors, insurance and postpartum care. And the Marmara, a Turkish-owned hotel on the Upper East Side in New York City, has advertised monthlong “baby stays” that come with a stroller. For the most part, though, the practice has involved individuals. The discovery of the large-scale facility here in the San Gabriel foothills raises questions about whether it was a rare phenomenon or an indication that maternity tourism is entering a new, more institutionalized phase with more hospital-like facilities operating quietly around the country. The San Gabriel town houses are nestled in a small street lined with modest houses, small apartment buildings and palm trees. A construction crew was at work late last week, closing up walls that had been knocked down between units, in violation of the housing code. Signs of a makeshift maternity house were evident everywhere. In one kitchen, stacks of pictures showing a mother holding her days-old baby sat next to several cans of formula. In another, boxes of prenatal vitamins were tucked into rice cookers. Several bedroom doors had numbers on them. Some rooms were rather luxurious — B9, for instance, had a large walk-in closet, a whirlpool and a small personal refrigerator. The Center for Health Care Statistics estimates that there were 7,462 births to foreign residents in the United States in 2008, the most recent year for which statistics are available. That is a small fraction of the roughly 4.3 million total births that year. Immigration experts say they can only guess why well-to-do Chinese women are so eager to get United States passports for their babies, but they suspect it is largely as a kind of insurance policy should they need to move. The children, once they turn 21, would also be able to petition for their parents to get United States citizenship. Angela Maria Kelley, the vice president for immigration policy and advocacy at the Center for American Progress, a liberal-leaning research group, said the existence of businesses helping foreign women give birth in the United States had only just begun to enter the public consciousness. The front of one of the town houses Officials said they could not determine exactly how many women had been there. The State Department, which grants tourist visas, is not permitted to deny visa applications simply because a woman is pregnant. San Gabriel, about 20 miles east of Los Angeles, has grown rapidly in recent years and is now a hub of businesses catering to Asian immigrants — tea shops fill the strip malls and for-sale signs in Chinese and Vietnamese are planted in front of several homes. 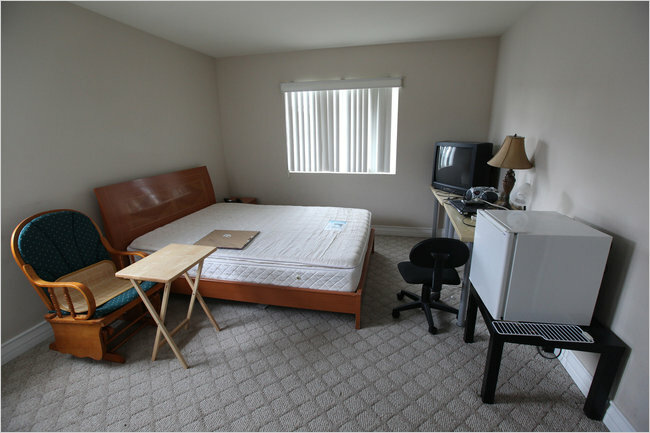 A room inside a so-called "maternity tourism" house in California. Mr. Anderson said a kind of “semitransient” community had a strong presence in this suburb. 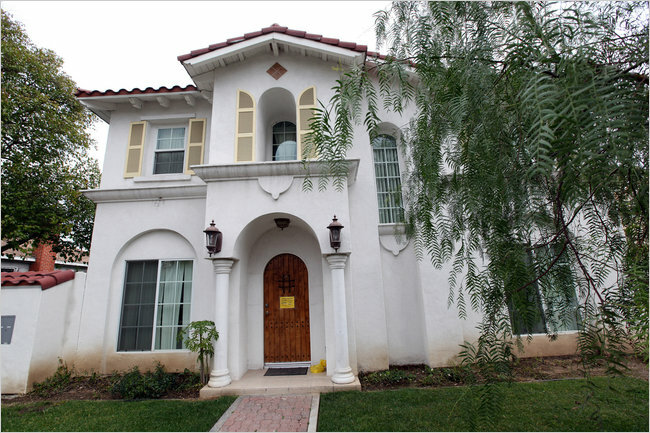 It is not uncommon for a single residence to be home to as many as 40 people. But as in other cities, the boarders are usually men, often working to send money to their families back home. City officials asked basic questions to the women they found in the maternity house: how did they get here and who paid for them to come? The answers: on a tourist visa, and our family paid. The house’s owner, Dwight Chang, was fined $800 for code violations. Mr. Chang did not return several phone calls, and one worker at the building said he was traveling and not available. “We didn’t do an extensive interview of the women; that wasn’t their job nor should it be,” said Jennifer Davis, the director of community development for the city. The city did alert public health officials, she said, who found nothing wrong with the babies. Ms. Davis said city officials had also alerted the immigration authorities. Virginia Kice, a spokeswoman for Immigration and Customs Enforcement said the agency had investigated a similar situation in another Southern California city last year, but it yielded no evidence of any federal violations. She declined to say whether federal officials were investigating the San Gabriel operation, citing agency policy. Yolanda Alvarez, who walks her dog past the town houses twice each day, said neighbors had complained among themselves for nearly a year, noticing “many, many young women” going in and out of the house. Copyright 2011 The New York Times Company. Reprinted from The New York Times, National, of Tuesday, March 29, 2011.